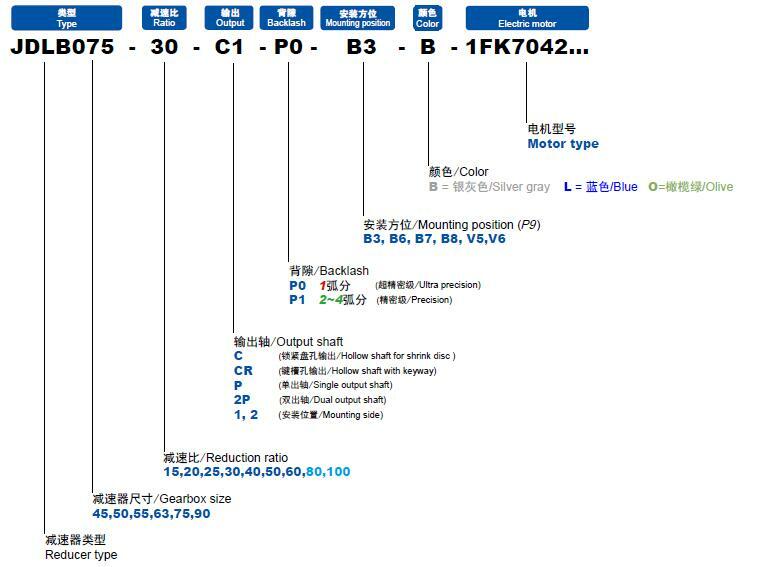 The following headings contain information on essential elements for selection and correct use of gearbox. 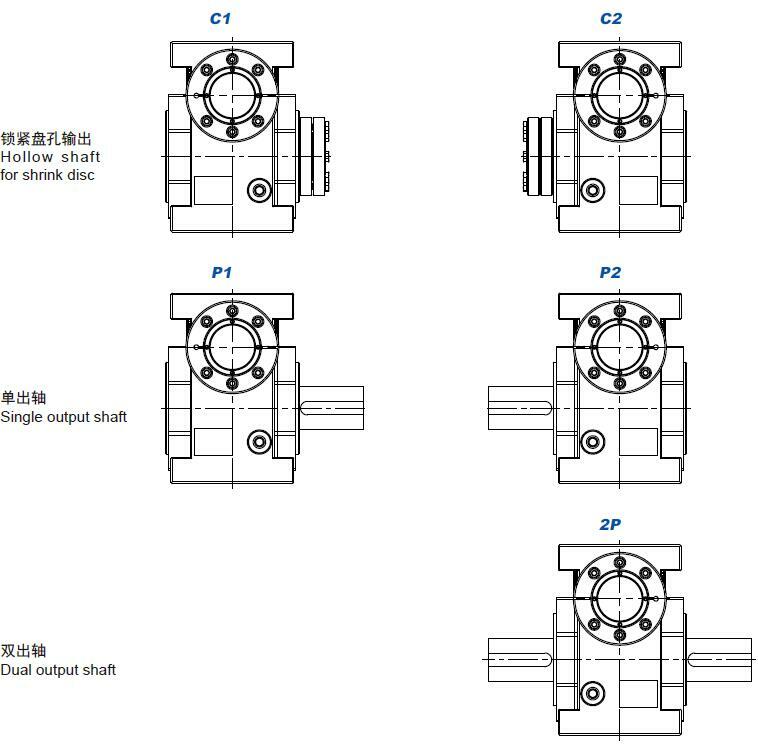 For specific data on the gearbox range,see the relevant chapters. 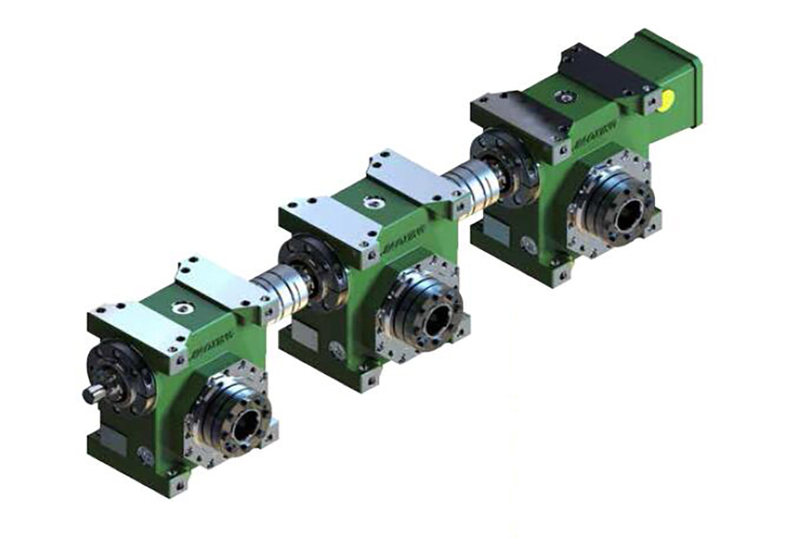 The torque that can be transmitted continuously through the output shaft, with the gear unit operated under a service factor fs = 1. 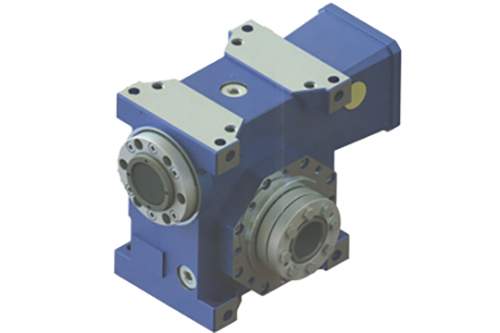 The torque demand based on application requirement. 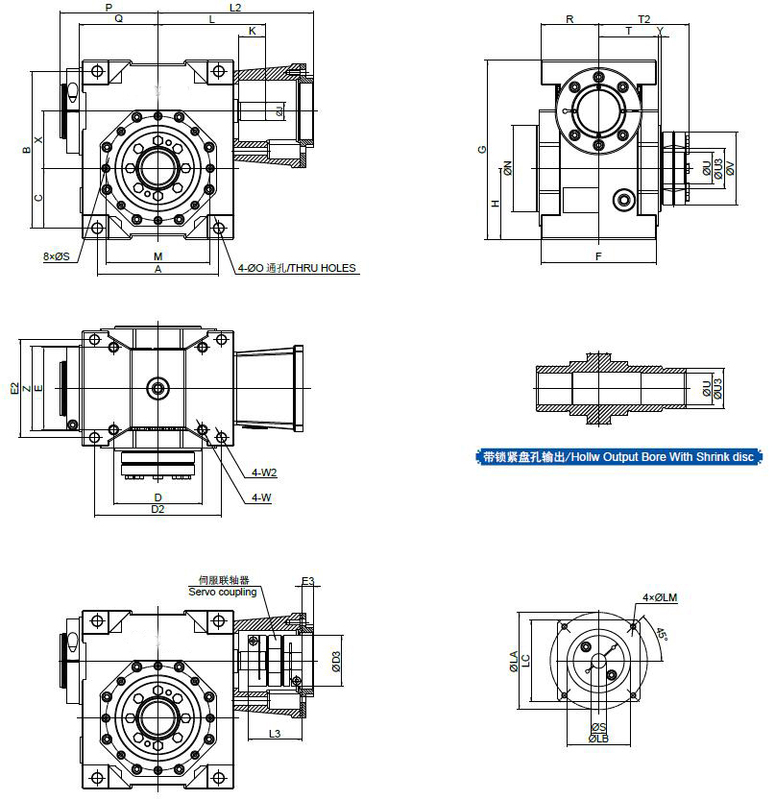 It is recommended to be equal to or less than torque Mn2 the gearbox under study is rated for. 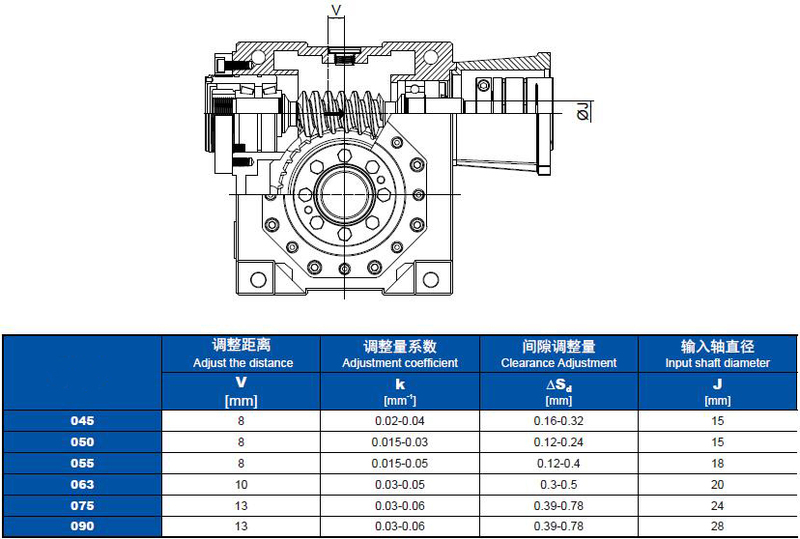 The parameter can be found in the gearbox rating charts and represents the KW that can be safely transmitted to the gearbox, based on input speed n1 and service factor fs= 1. 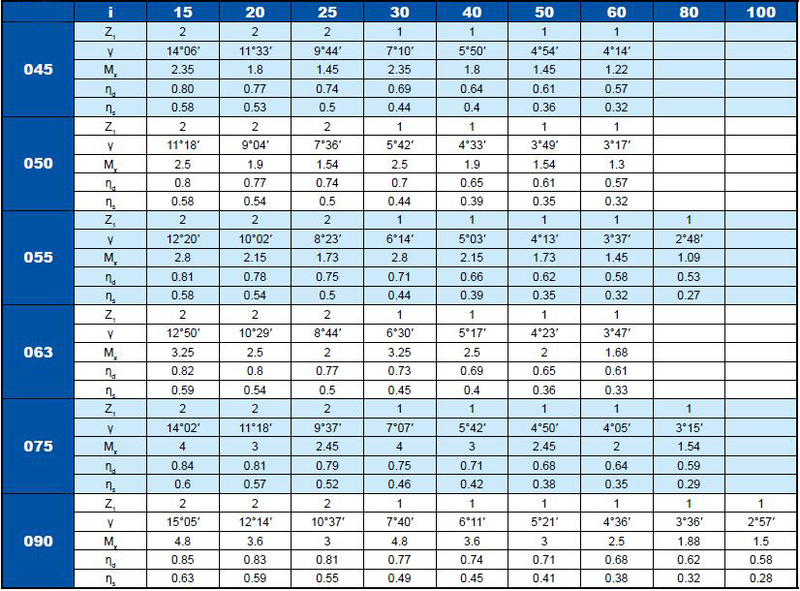 Efficiency is a parameter which has a major influence on the sizing of certain applications, and basically depends on gear pair designelements. 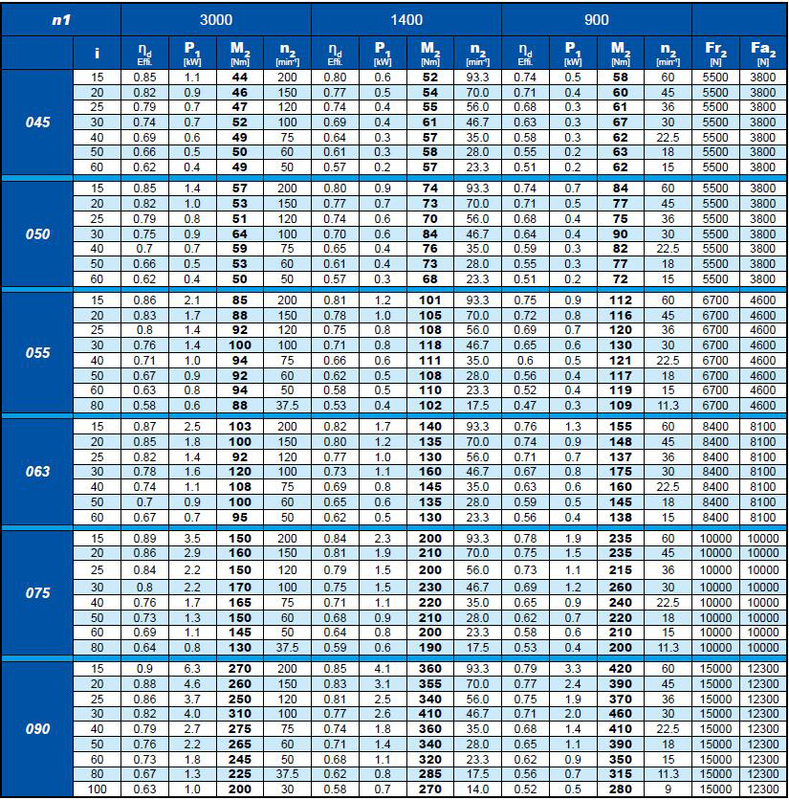 The mesh data table on page 9 shows dynamic efficiency (n1=1400)and static efficiency values. 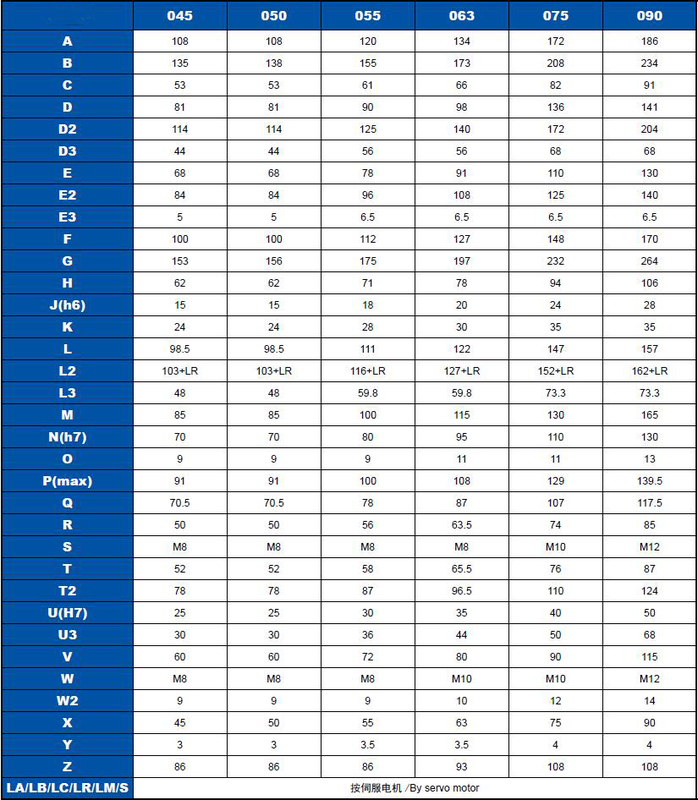 Remember that these values are only achieved after the unit has been run in and is at the working temperature. 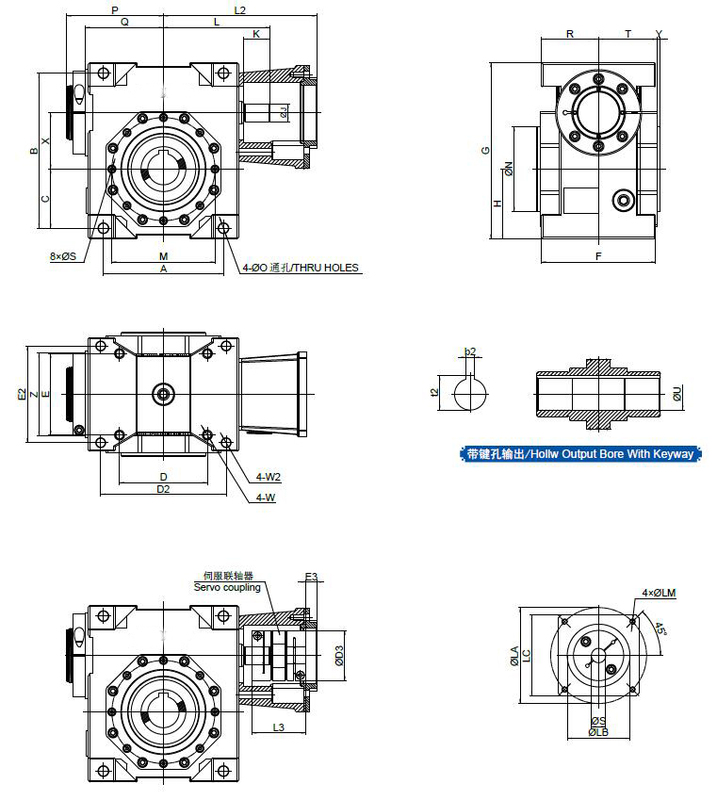 Efficiency obtained at start-up of the gearbox. 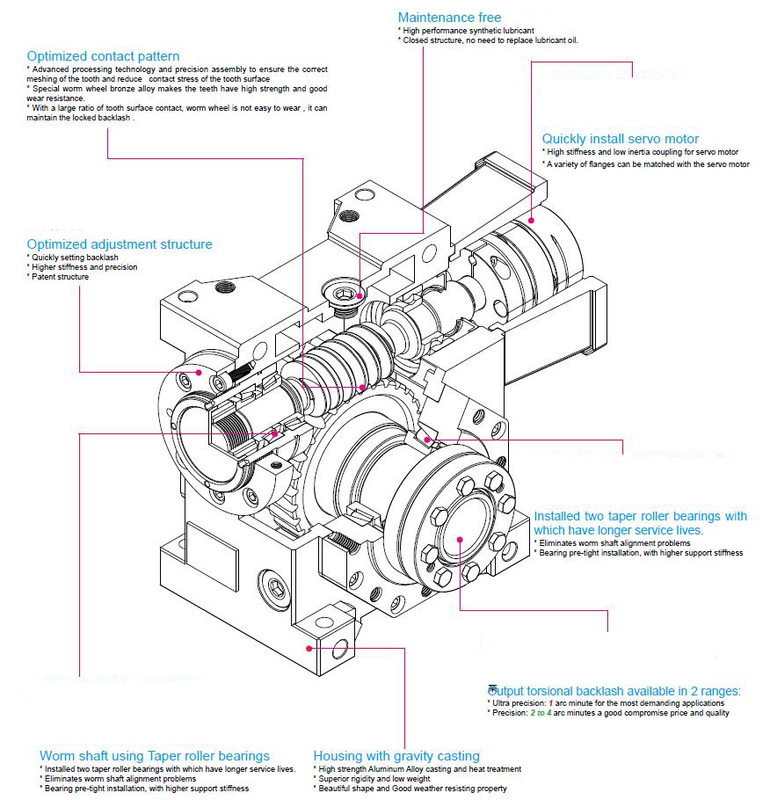 Although this is generally not significant factor for helical gears, it may be instead critical when selecting worm gearmotors operating under intermittent duty. 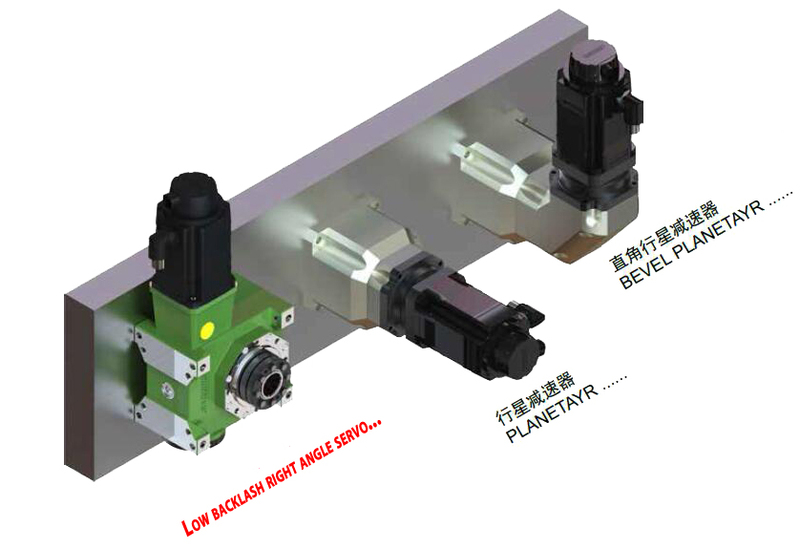 A -Screw feeders for light materials, fans, assembly lines, conveyor belts for light materials, small mixers, lifts, cleaning machines, fillers, control machines. 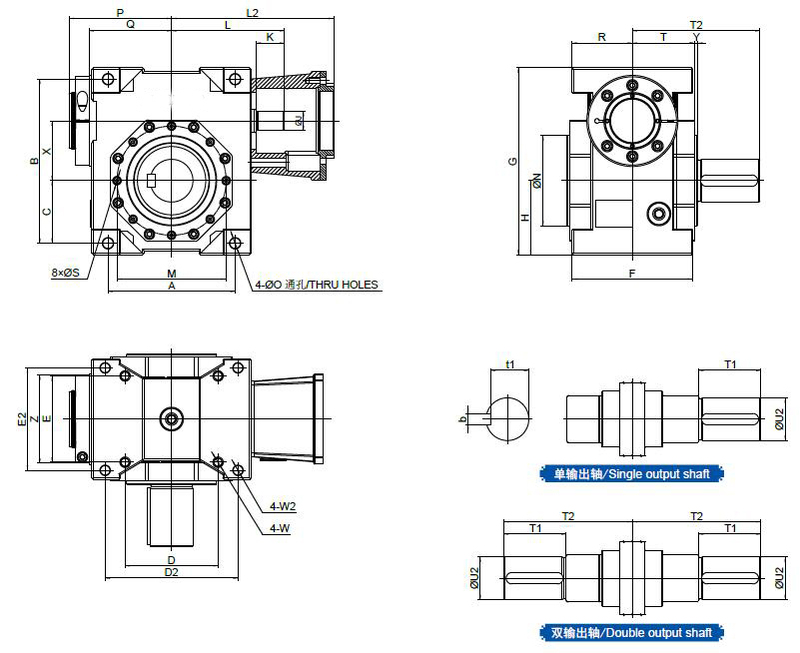 B -Winding devices, woodworking machine feeders, goods lifts, balancers,threading machines, medium mixers, conveyor belts for heavy materials,winches, sliding doors, fertilizer scrapers, packing machines, concrete mixers, crane mechanisms, milling cutters, folding machines, gear pumps. C -Mixers for heavy materials, shears, presses, centrifuges, rotating supports, winches and lifts for heavy materials, grinding lathes, stone mills, bucket elevators, drilling machines, hammer mills, cam presses, folding machines, turntables, tumbling barrels, vibrators, shredders.